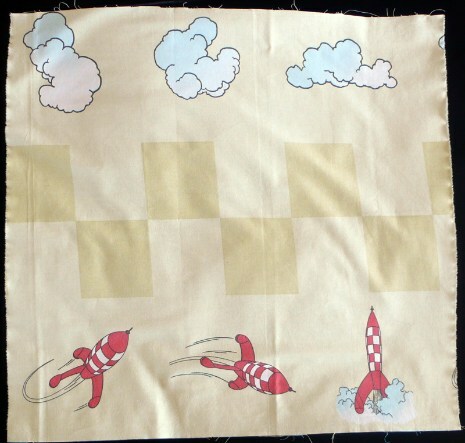 This Tintin Destination Moon fabric panel has three images of the iconic red and white Tintin rocket from the two Moon stories. 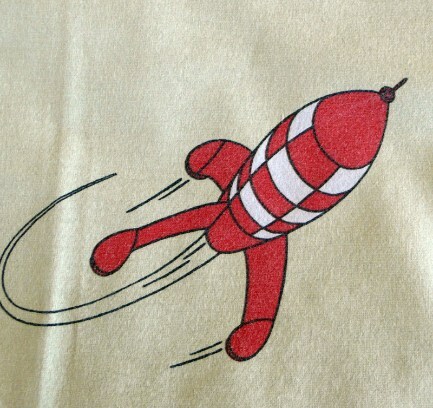 The cotton has a squared pattern with clouds and three rockets all on a pale, sand coloured background. 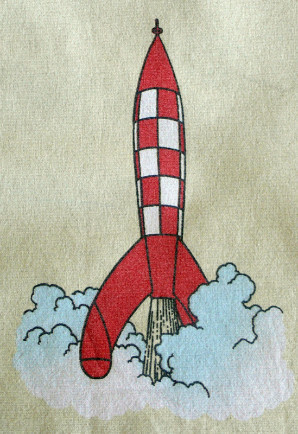 I've left them as larger squares but the three rockets would divide to make lovely patchwork pieces. 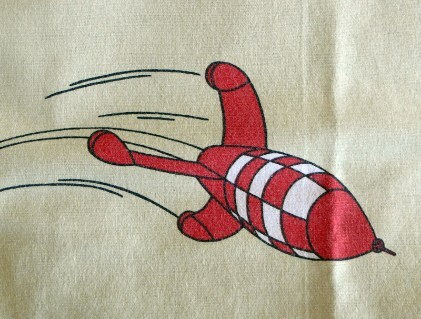 Each fabric piece measures 57cm x 57cm, each rocket measures approximately 16cm x 9cm. In good vintage condition with bright colours and no tears.